Make adorable turtle pincushions filled with ground walnut shells! Turtles are approximately 7" x 6" x 2.5" tall. GREAT way to use up small pieces of fabrics and scraps! 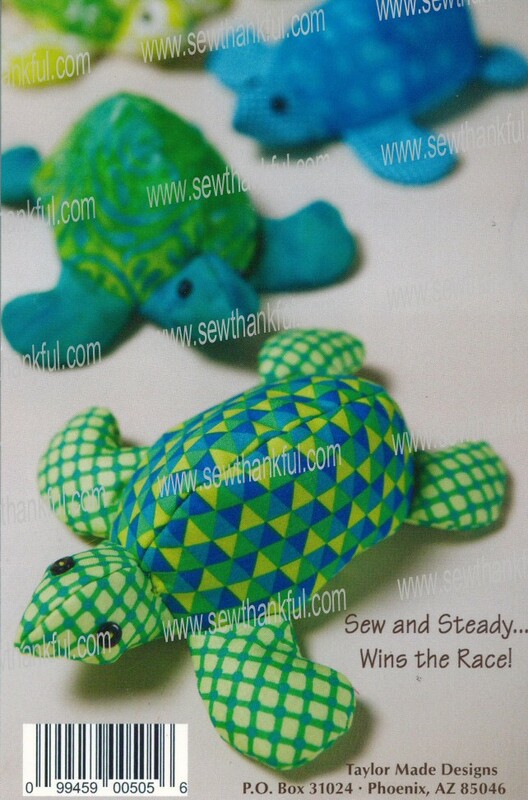 For your non-sewing friends, this turtle pal would make an awesome paper weight/desk buddy. AND it would also make an excellent (unique) Christmas Tree fabric ornament...just stuff with polyfil instead of the walnut shells. Pattern includes instructions and pattern pieces. 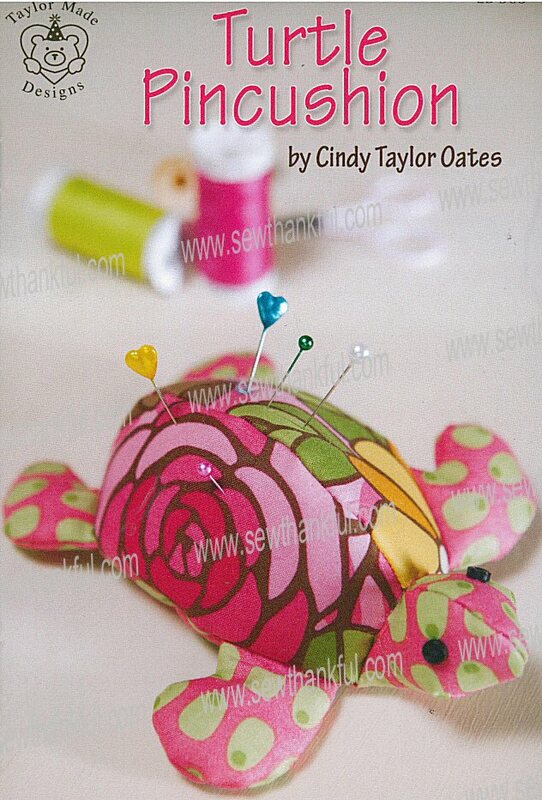 You will line each pattern piece with fusible fleece. I have not had the chance to make this friend. I have read through the pattern and see no problems with the pattern.